NOTE: This content is old - Published: Saturday, Feb 9th, 2019. Update 10am: Strong winds are beginning to ease, a Met Office weather warning for wind which has been in place since 12.15am will come to end at 2pm an hour earlier than previously stated. Train services between Wrexham and Bidston which had been cancelled due to a tree blocking the line at Caergwrle appear to be back up and running. According to traffic reports the A548 Mostyn to Greenfield is still closed by the old Coed Mawr market due tree has fallen. 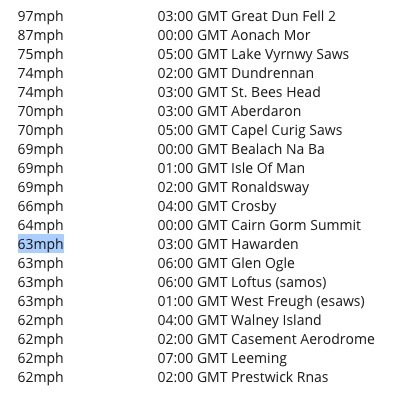 A wind gust of 63 mph (102kmh) was recorded at Hawarden 3am – at one point it was the highest recorded gust in the UK. 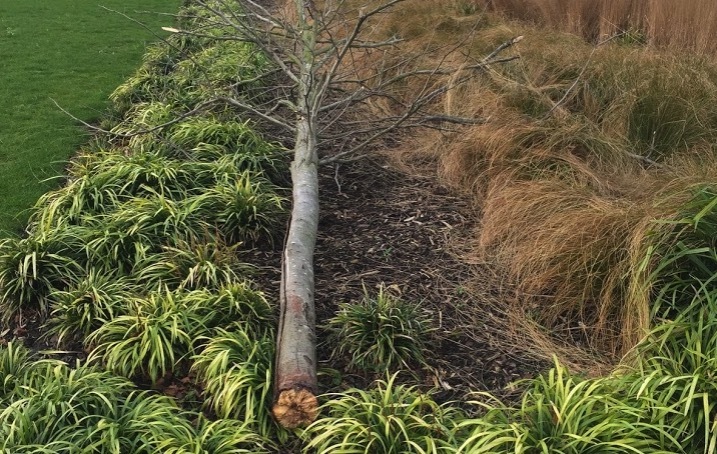 Earlier report: Strong winds from STORM Erik have brought down trees across parts of Flintshire overnight causing travel disruption this morning. A yellow weather warning for strong wind has been in force since 12.15am -it remains in place until 3pm. A prolonged spell of storm force winds is moving from west to east through Saturday morning. A wind gust of 63 mph was recorded at Hawarden overnight – at one point it was the highest recorded gust in the UK. Train services have been cancelled between Wrexham and Bidston have been cancelled due to a tree blocking the line at Caergwrle, buses are replacing trains between Wrexham, Shotton and Bidston. Lines are also blocked between Shrewsbury and Chester due to a tree blocking the line. 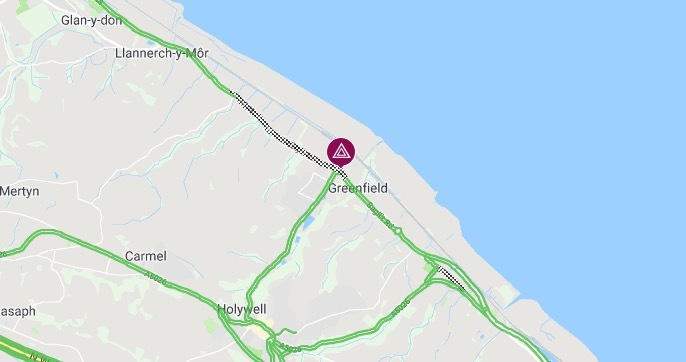 The A548 Mostyn to Greenfield closed by the old Coed Mawr market, a tree has fallen into road blocking both lanes – police ask drivers to find an alternative route.